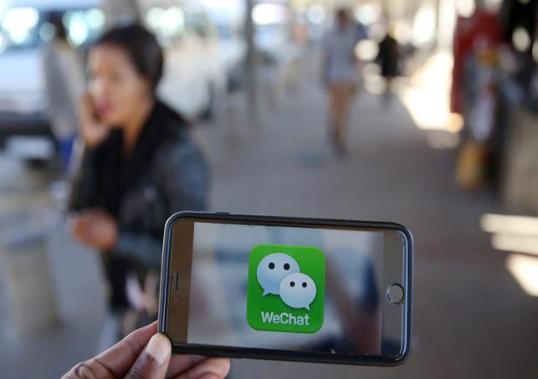 Chinese internet giant Tencent said Saturday its messaging app WeChat had been blocked in Russia, adding it was in touch with authorities to resolve the issue. WeChat, known as Weixin in China, is the world’s most popular messaging service, with 889 million global users by the end of 2016. As well as messaging, it also offers payment, ride-hailing and other services, and Tencent has ambitions to spread the app beyond China. It is unclear how many users WeChat has in Russia. “We are sending letters to iTunes and Google Play to block the app. We await a reaction. If it does not follow, access to the messenger will be limited through telecom providers,” Vadim Ampelonsky told state-run RIA Novosti Friday. Earlier in the week, Roskomnadzor placed Blackberry Messenger and Line on its list of banned services for the same reasons, RIA reported. A law passed in 2014 requires foreign messaging services, search engines and social networking sites to store the personal data of Russian users inside Russia. Sites that breach the law are added to a blacklist and internet providers are obliged to block access. The law prompted criticism from internet companies but entered into force in September 2015, with professional networking site LinkedIn blocked after it was found to have broken the law. China also has strict internet regulations. Communist authorities censor online content they deem politically sensitive, while blocking some Western websites and the services of internet giants including Facebook, Twitter and Google with a vast control network dubbed the Great Firewall of China. Tencent became China’s most valuable firm in September, beating state-owned telecom behemoth China Mobile and nearly reaching half of Apple’s valuation.